1. Recording devices for children. Talking Products: Talking Tins, Talking Photo Albums. Talktime. 2. Audio files for purchase. Jolly Phonics Extra. Xtraordinary stories. GCSEPod. Barrington Stoke. Talking Newspapers and Magazines. 4. Audio files for borrowing. Calibre, Young Calibre. Listening Books. Read & Write, ClaroRead, SaySo, Kurzweil 3000, Balabolka. Surrey CC, Read Hear, Don Johnston, BookShare, Learning Ally. In addition to the many mainstream facilities for recording and purchasing human voice audio files, some are produced primarily for print-impaired people. When spoken well, such files have better pronunciation, expression and pauses than digitised audio files. However, there are very few examples of UK real voice files synchronised with highlighted text. It is a good idea to get children to compose text orally before they try to write text, and it is good preparation for audio e-mails from iPhones and for dictation to speech recognition software. Talking Products has a lot of interesting products. Of particular note are their Talking Tins and Talking Photo Album. The Talking Tins have a choice of 10 or 40 second recording time providing the facility to playback voice messages and could be useful for a wide range of speaking and listening skills, games and other language activities. They might also be used for instructions for activities instead of written text. 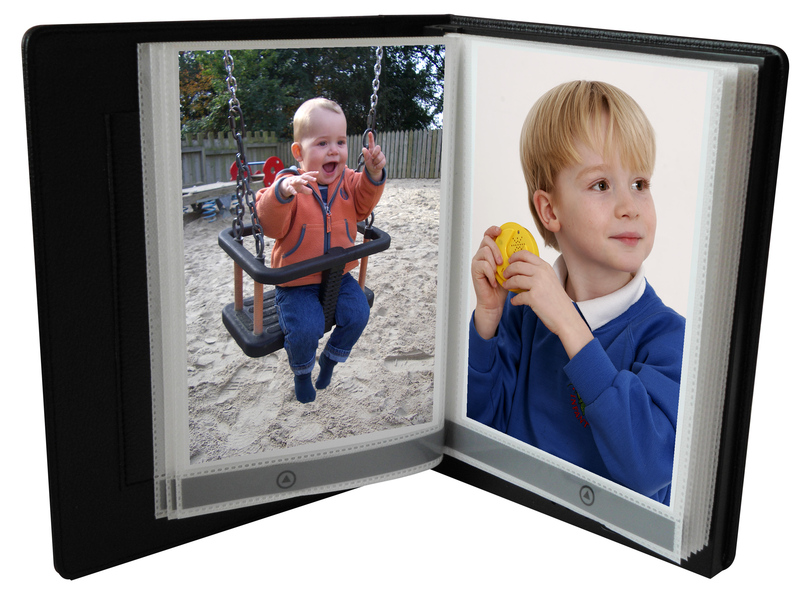 The Talking Photo Album allows individual messages to be recorded and played on each of the twenty available pages, offering a total of 100 minutes recording time. The album has a separate socket for an earphone and a built in speaker with volume control. It contains a removable SD card for recordings to be moved between devices. This offers great potential for creating motivating materials for sharing. TalkTime provides a range of excellent affordable, recordable products onto which a short message can be recorded. These include video-cards, photo-cards, speech bubbles and post-cards. They have all sorts of uses such as reminders (in the school bag!) as well as visual timetables etc. Distributed through TTS. Text sounds better when read by human voices, tho it cannot have the synchronised high-lighting that dyslexic users like. There are many human voice audio books, e.g. Amazon and Audible. Jolly Phonics Extra is a complete synthetic phonics scheme for teaching the first stages of reading and spelling. It is an enhanced version of the long-established Jolly Phonics for children who need even more support. One of the ‘extras’ is a TalkingPEN, which has audio files for the Letter Sounds book including a story and a song, and the 54 reading books. See Word and PDF files of a review. January 2014. See Jolly Phonics Extra reviews by teachers and pupils, Word and PDF versions. Xtraordinary stories. Kate Griggs has published short audio stories to encourage dyslexic youngsters. 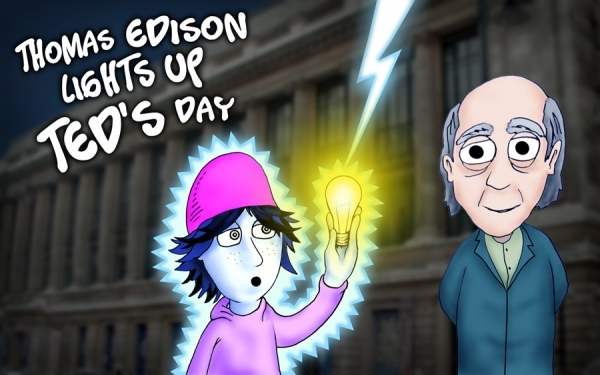 Ted ‘interviews’ Thomas Edison, Winston Churchill and a live Richard Branson. £1.99 each or £5 for the three. Buy online from Xtraordinary People and download to computer or i-pod. GCSEPod. Buy and download learning and revision podcasts with text and images. Hear human voice audio files on Android, Blackberry and Apple devices, or in computers. On-line and downloadable samples. Barrington Stoke now has audio files on CDs for some of their specially written children’s books. You can also buy the books, if you want to follow in the text. Barrington Stoke has books for adults, not yet on CD. See example of Barrington Stoke typeface. The RNIB produces Talking Newspapers and Magazines as audio files and as text files for subscribers to listen in a web browser, with their own software. Quick Reads are short stories specially written by well-known authors for emerging adult readers. They are available from High Street shops for £1 each. The BBC Skillswise web has free audio files, on-screen text, downloadable pdf and Word files of first chapters of some of the QuickRead books. Calibre, with Young Calibre library of unabridged audio books, read by professionals, has a one-off joining fee. Their mp3 files can be downloaded or posted on disk or memory stick. Listening Books is an audio library with an annual subscription. Professionally produced school textbooks and leisure books for adults and children can be downloaded or on CDs sent by post. Many public libraries have audio books on CDs and available for download. (They also have text versions in e-books, but these are protected and not easily available for text to speech.) See details of Surrey County Library e-books. See audio good practice below. What does your area offer? Conversion from pdf to Word. Many programs can convert pdf files to plain Word with varying success depending on the complexity of the pdf. OmniPage is one of the best. The file can then be edited on Load2Learn guidelines. People can hear these Word files with programs described in B.D.A. Tech page Text to Speech. Word enables readers to set their own visual preferences of colour, size, spacing and font style. B.D.A. Tech page on Apps describes TTS features and Apps for devices. Conversion to ePub and Kindle. Audacity is good, free software for these. You need a good microphone and a very quiet room. You can create digital audio files in Read & Write Gold (MP3), ClaroRead (WAV), and SaySo (WAV). Kurzweil 3000 makes the smallest files (MP3), which helps for downloading, and it is the easiest for pronunciation editing. Balabolka is a good free facility (MP3). SaySo can create and play DAISY files, which synchronise speech with text. It is a good idea to make separate tracks for each section, chapter or article, and provide a track list. It helps for navigation, and you can vary the voices, e.g. alternate male and female. Balabolka has tutorials for saving files to MP3 files. Surrey County Council Library Service. Surrey CC libraries have masses of ebooks (text) and audio books for adults and for children, for online borrowing, as well as audio CDs, all free for Surrey residents. 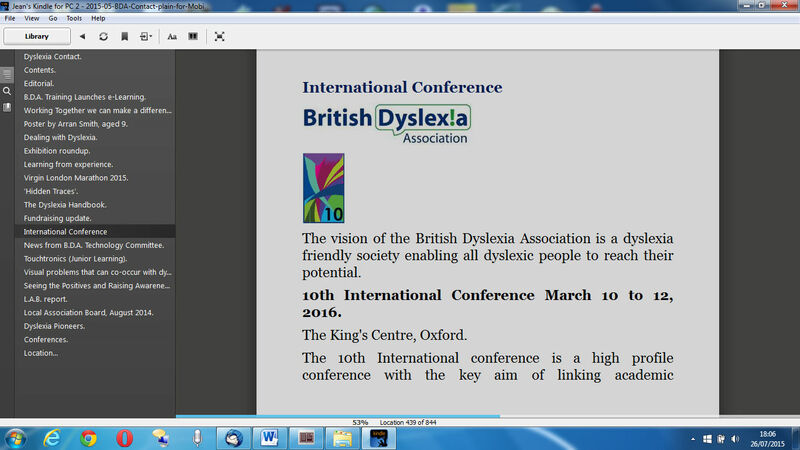 Surrey CC has a good page for dyslexia support in its libraries. These are Book & CD packs from Barrington Stoke. Google indicates they are only available in Ireland, Aberdeenshire and Surrey libraries. Human voice with synchronised high-lighting. There are many sources of audio books and ebooks with human voice recordings, but the new development is human voice narration synchronised with text high-lighted on the screen. In America, Don Johnston creates such e-books; BookShare and Learning Ally stock them for print-impaired readers. 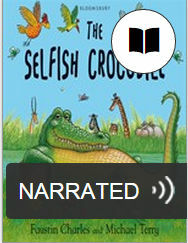 Now Surrey CC has 9 such ebooks for children, with UK narration. There will be more as they become available. Figure 1. ‘Narrated’ shows clearly, with a hearing icon. It is for use online, not downloadable like ePubs. No TTS says ‘pulled and pulled and pulled’ with such good expression! Internet information says one can vary the speed and volume, but that is not available in the Surrey CC narrated ebooks. Surrey CC Libraries say that Kent, Hampshire, Windsor and Maidenhead, West Sussex, a few London Libraries, and maybe others, have narrated ebooks. Libraries use Overdrive for ebook and audio files. 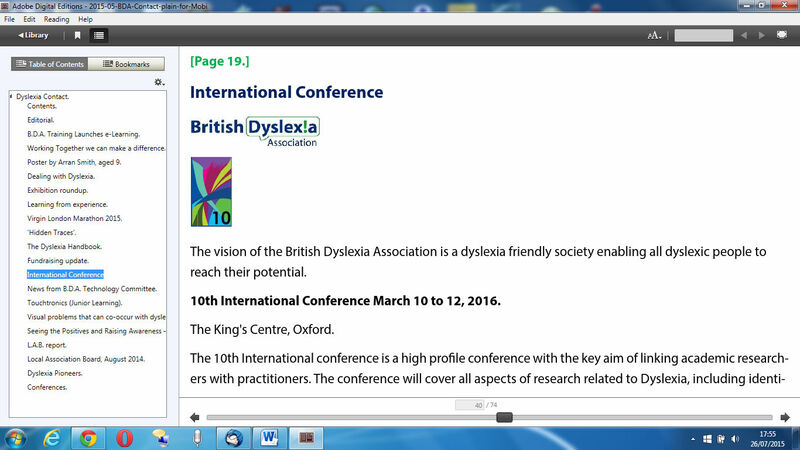 The OverDrive app for ebooks on devices includes an option for using Open Dyslexic font. What accessible formats does your library have? Do your members and clients know about them? © B.D.A. New Technologies Committee. July 2015.